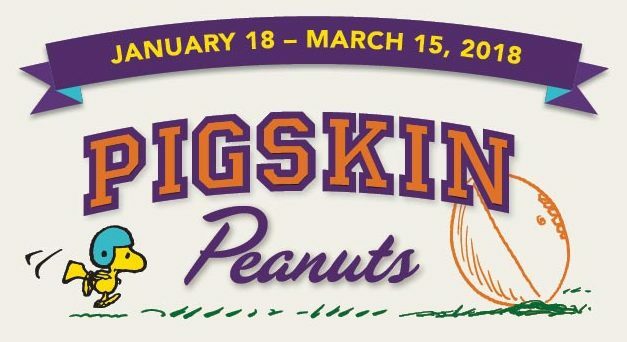 The 50 Sunday and daily strips in this exhibition demonstrate the fun Charles Schulz had with the sport of football and explore his wonderful world of Pigskin Peanuts. Visitors will also enjoy viewing football themed Peanuts objects and ephemera; dressing up in the team locker room; taking a photo-op on a football trading card; and trying their own hand at “pulling the football” from Charlie Brown. The Museum is open Tuesday through Sunday (closed Mondays) from 10 am to 5 pm. The Forest Lawn Museum offers free admission and parking.